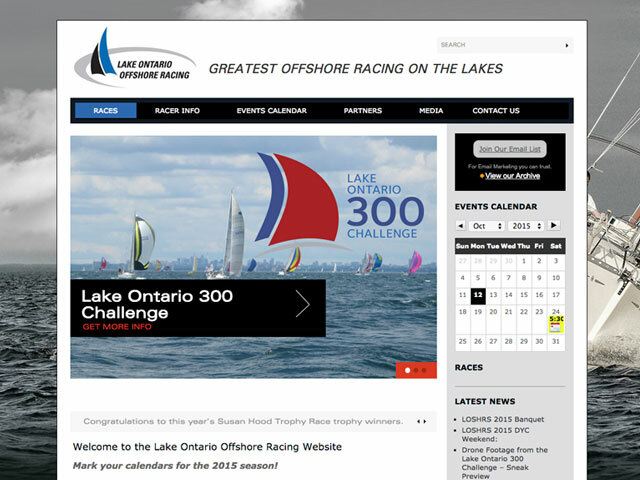 The Lake Ontario Offshore Racing Committee is responsible for the planning of the Lake Ontario 300 Challenge, The Susan Hood Trophy Race and The Lake Ontario Short Handed Racing Series under the organizing authority of the Port Credit Yacht Club. They needed a website solution that showcased the three individual sailing races. They were also looking for rebranding of their logo to be used across all media including both digital and print. We rebuilt the site from the ground up using a custom WordPress theme. The rebuild included a flowchart reorganization to establish user goals. Wireframes were also used to show preferred features and add-ons. The end result was a website that the client could update as the content changed and unified their three distinct races into one website.